TRILOK STEEL INDUSTRIES is India's largest stockholder of Stainless Steel Needle Tubemanufactured as per with national and international standards.Our Stainless Steel Needle Tubingis available in a variety of sizes with ASTM A908 specifications. We are well known exporter, supplier, stockist & distributor of Needle Tubingin a number of standard sizes and grades, including 304/304Land 316/316L. Trilok Steel Industries well known as Stainless Steel Needle Tube manufacturer in India. At TRILOK STEEL INDUSTRIES Stainless Steel Needle Tube made by the seamless or welded and drawn process and shall be furnished in the hard-drawn temper condition.Generally, these Needle steel tubes material furnished in accordance with this specification shall conform to the applicable requirements of the current edition of Specification A 1016/A 1016M.We offer a comprehensive range of SS Needle Tubes to our customers in medical services. Needle stainless Steel Tubingmeet the tensile properties specified in below table. Yield strength, elongation, and hardness tests are not required for needle tubing. 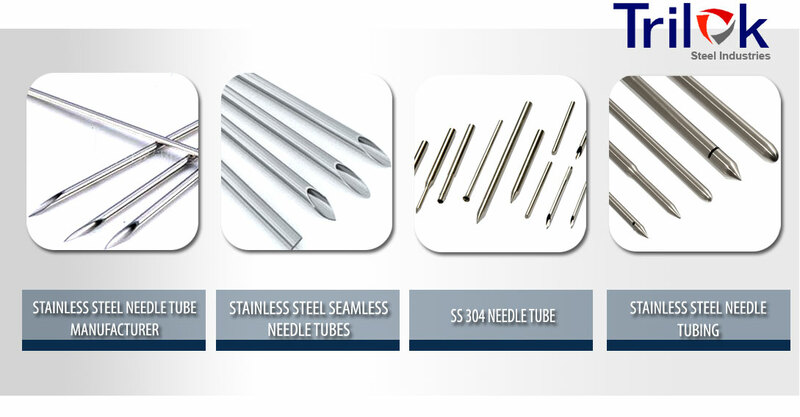 According to applications, the Stainless Steel Seamless Needle Tubeshave small diameters and thin wall needle tubing. 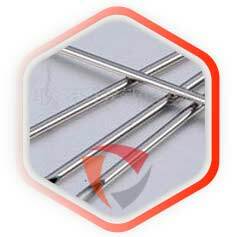 Trilok Steel Industries stock stainless steel needle tubing for the manufacture of medical devices.In Stainless Steel Needle Tubing manufactring process an electric furnace or other similar primary melting process with or without degassing or refining may be used. We can customize the ideal Stainless Steel Needle Tubingfor your unique application.Contact to Trilok Steel Industries for confirm availability and pricing. As a largest stockholder of Stainless Steel Needle Tube, we have huge inventory of Stainless Steel 304 Needle Tube, Stainless Steel 304L Needle Tube,Stainless Steel 316 Needle Tube,Stainless steel 316L Needle Tube and stainless Steel 201 Needle Tube. check latest updated price of Stainless Steel Needle Tube. Stainless Steel Seamless Needle Tubing, SS Needle Tube sizes in india, SS Needle Tube Dealer in India, High Quality Stainless Steel Needle Tube, Stainless Steel Needle Tubes Exporter in India,Needle Stainless Steel Tubing Exporter, Seamless Stainless Steel Needle Tubes. Suppliers of Stainless Steel Needle Tubes, stainless steel needle tubing for the manufacture of medical devices, iso 9626 stainless steel needle tubing for manufacture of medical devices, 304 Needle Steel Tubes, Stainless Steel Needle Tube Exporter, SS 304 Needle Tube size Chart, SS 316 Needle Tube Supplier in Mumbai, India. Stainless Steel Needle Tubes are finished in accordance with customer needs regarding dimensional and wall thickness specifications as well as heat treatment for more demanding applications. In general a Stainless Steel Needle Tube is manufactured according to current standards API, ASTM, and ASME. If required for special projects we can also supply large diameter Needle Tubes. Tolerances of tubes produced by the rod or bar mandrel process and which have an inside diameter under 1/2 in (12.7mm) (or an inside diameter under 5/8 in. When the wall thickness is more then 20% of the outside diameter.) Are as shown in this table except that wall thickness tolerances are 10% over and under the specified wall thickness. For Ovality values, the tolerance for average outside diameter at any one cross section does not exceed the outside diameter tolerance value for the applicable outside diameter. Many tubes with wall thicknesses more then 25% of outside diameter or with wall thicknesses over 1 1/4 in. Or weighing more then 90lb/ft. are difficult to draw over a mandrel. Therefore the wall thickness can vary 12 1/2% over and under that specified. 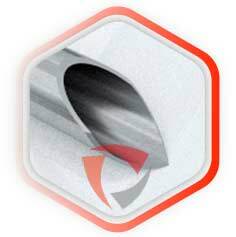 For those tubes with inside diameter under 1/2 in (or under 5/8 in when the wall thickness is more then 20% of the outside diameter) which are not commonly drawn over a mandrel, A is not applicable. Therefore the wall thickness can vary 15% over and under that specified, and the inside diameter is governed by both the outside diameter and wall thickness tolerances. These tolerances apply to cut lengths up to an including 24 ft. For lengths over 24ft, an additional over tolerance of 1/8 in. for each 10ft. or fraction thereof shall be permissible, up to a maximum tolerance of 1/2 in. Outside Diameter, In. Outside Diameter Tolerance, In. Over and Under Ovality Double Outside Diameter Tolerance when wall is: Wall Thickness in % Permissible Variations in Cut Length, in.